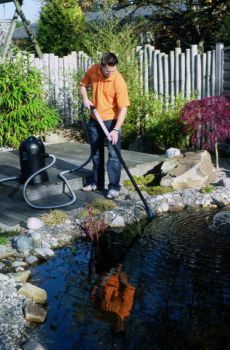 The Pontec PondoMatic 3 is a cost-effective entry level pond vacuum cleaner, perfectly suited to smaller ponds, swimming pools or water features. 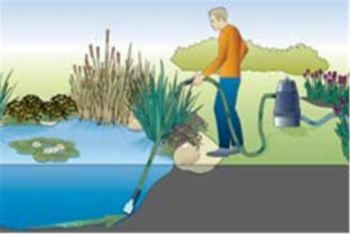 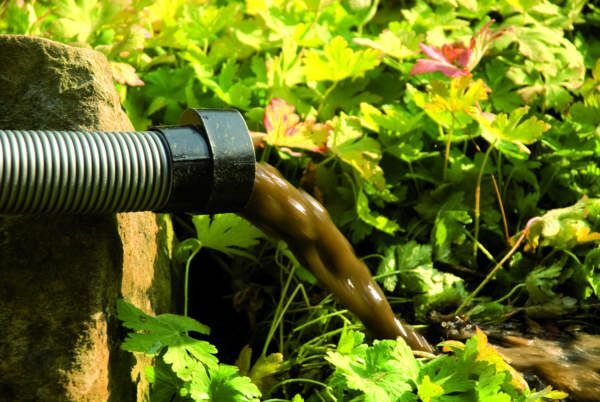 High quality, German engineered Sludge Vac, quality controlled by OASE Germany and features a powerful 1400 watt motor for extracting pond sludge and leaf debris. 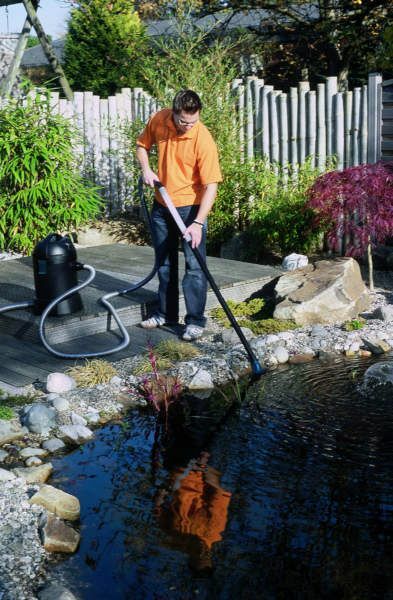 The compact pond vacuum cleaner has a 30 Litre collection tank and an automated on/off timer (vacuum cycle on for 20 seconds / emptying cycle on for 20 seconds). 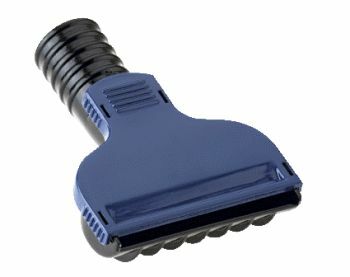 A manual on/off switch is also fitted to the motor head. 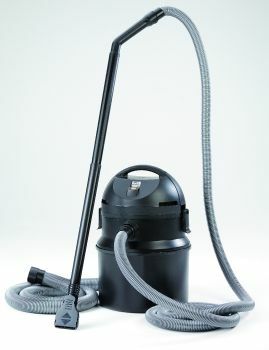 Supplied with 3 useful cleaning tools (Algae Nozzle, Crevice Tool & Adjustable Nozzle). The adjustable Nozzle can be manually set to vacuum debris from 2mm to 10mm diameter. 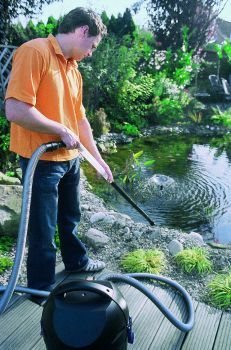 The PondoMatic 3 is supplied with 4 metres of suction hose and 2 metres of discharge hose. 2 Year Guarantee. 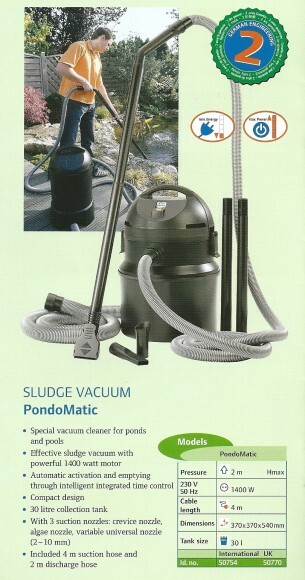 PondoMatic 3 Dimensions: 54cm Height x 37cm Diameter.